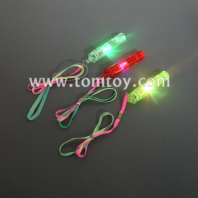 Light up Whistles from TOMTOY is Perfect for school events, birthday parties, neon-themed or glow-themed parties, concerts, parades and many more! Also perfect as gift, giveaway, souvenir or prizes. The whistles come with lanyard, easy for you to take and use.